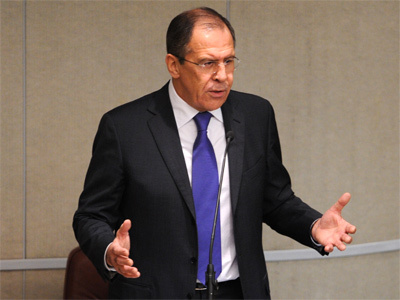 Russia believes that everything possible must be done for a peaceful settlement of the Nagorno-Karabakh territorial conflict, Foreign Minister Sergey Lavrov has said. “I really wouldn’t want the Libyan scenario to repeat anywhere else. This scenario is an example of crying abuse of the [UN] Security Council’s mandate,” Lavrov told a media conference following a meeting with his Azeri counterpart in Baku. 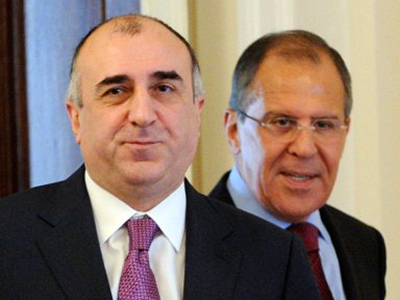 The top Russian diplomat expressed hope “we will not allow such steps to be approved” when it comes to settlement of any conflicts, including the Nagorno-Karabakh dispute. 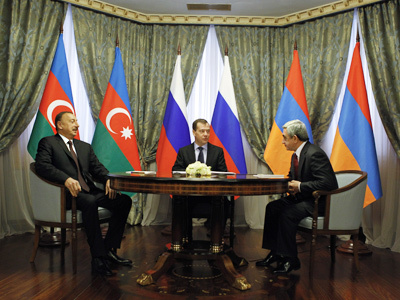 In recent years, Moscow has been taking actively assisting the conflicting sides – former Soviet republics Armenia and Azerbaijan – in efforts to find a compromise over the Karabakh (an Armenian-speaking exclave in Azerbaijan). 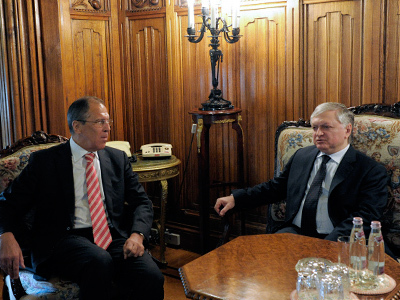 A series of three-sided meetings were held since 2008 between the leaders of the states. The latest summit on the issue was held in January this year. The confrontation over Nagorno-Karabakh broke out back in 1988 when the region, mostly populated by Armenians, sought independence from Azerbaijan and announced its intention to join Armenia. In 1991, the Nagorno-Karabakh Republic was founded. Azerbaijan tried to regain control over the territory and the conflict escalated into a full-scale war in which around 30,000 people were killed. The conflict ended in 1994, with Nagorno-Karabakh’s independence remaining unrecognized. Since then, talks to determine the status of the disputed region have been conducted within the framework of the Minsk Group of the OSCE.